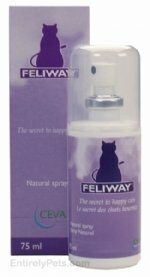 Feliway Behavior Modifier Spray mimics your cats natural pheromones to reduce or completely stop stress-related behavior such as scratching, urine marking (spaying), a reduced desire to play, or a reduced appetite. 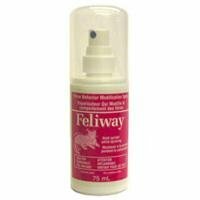 Feliway Behavior Modifier Spray is ideal for cars, cages, and new homes. 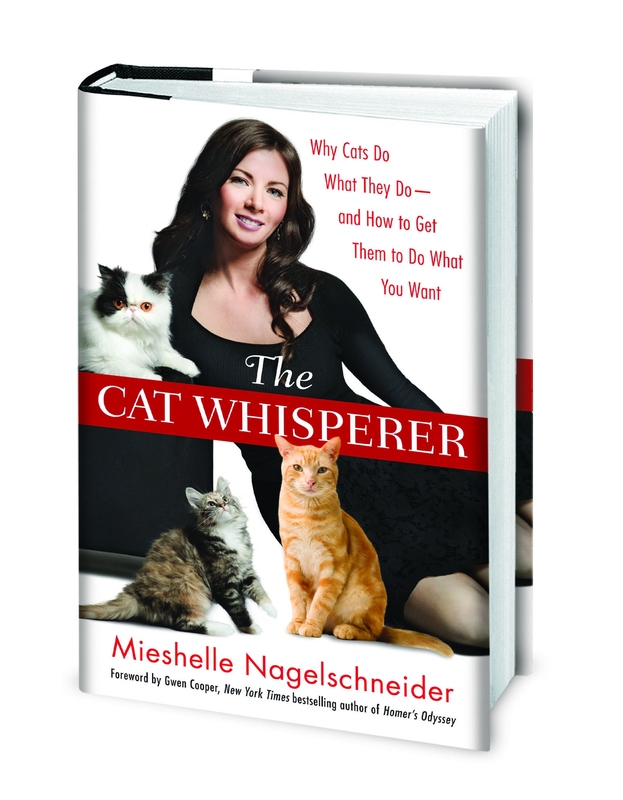 Stops your cat from marking his territory with urine Simulates your cat?s natural pheromones Ideal for cages, cars, and new houses Great comfort for your cat?s stress Completely safe for pets and humans .